In an ingenious business move, the Soho, London restaurant “Dirty Bones” is providing its guests with “Instagram” kits while they dine so that guests can snap mouthwatering pics of the food they serve. Inside each free Instagram kit diners will find a charger compatible with multiple devices, a LED camera light, a wide angle camera clip-on lens, and a tripod selfish stick so that hands-free table shots can be taken. 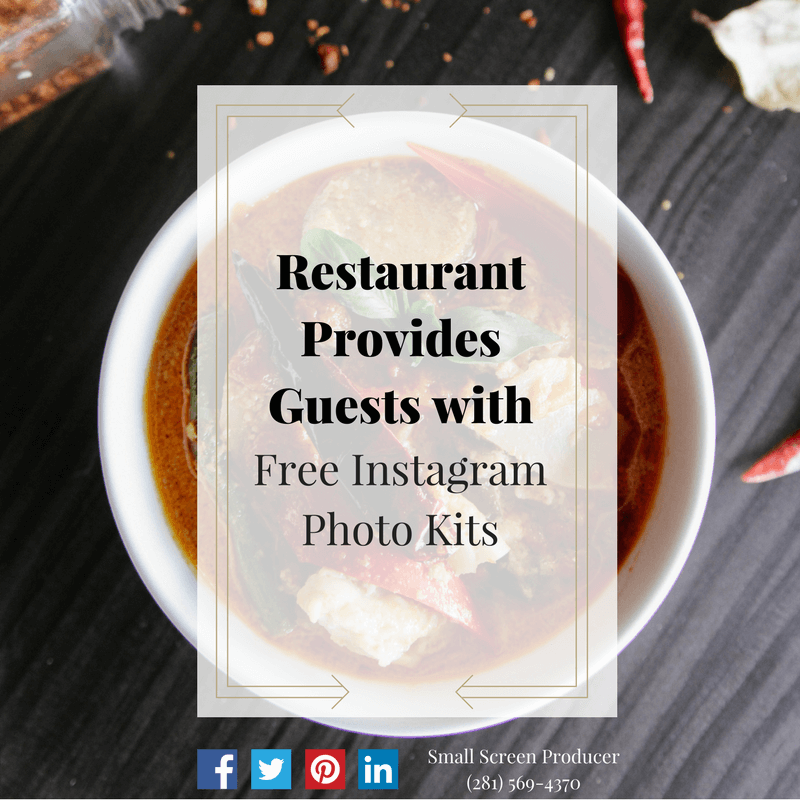 Dirty Bones came up with the idea of providing these free packs to their diners after realizing the impact Instagram images have on present-day “foodie culture”. A lot of people are now choosing where to eat based on the pictures Instagram diners take, and Dirty Bones wanted to be a part of it. As a Dirty Bones spokesperson said in a statement, as a restaurant it is important for them to make sure that people are getting the “best possible shots” of their drinks and their food to help diners choose them as the place to eat. The packs allow guests to share the best qualities of the restaurant without “compromising” the design and cost atmosphere. The entire restaurant is designed with social media in mind. The menu and the interior have all been crafted to deliver great shareable content including trendy new dishes and decor. Because of their creativity, Dirty Bones has gotten a lot of international exposure – and it’s causing other businesses in their industry to recognize the importance of innovation. Innovation is crucial as it not only keeps your brand fresh and interesting. It helps build up a strong brand identity which will transform “average” customers into passionate brand loyalists. Plan a web presence strategy, we successfully Position brands online, we Promote brands through numerous channels and strategy, and we Protect your web presence through rigorous reputation management. To find out more about how we help brands meet their business goals, give us a call today at (281) 569-4370.